Lot of us love potato cooked in different forms. 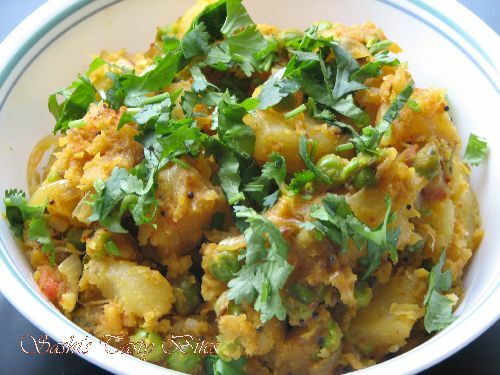 But potato as such is loaded with carbs, while you enjoy aloo try adding fenugreek and get some nutrition. 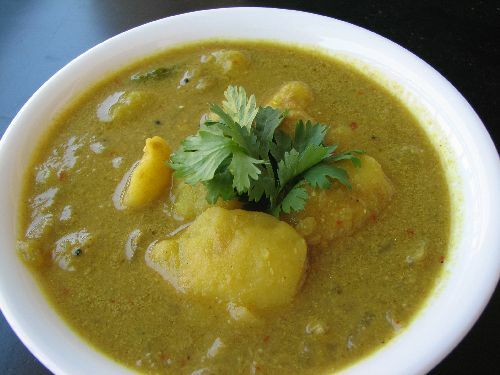 This one goes well with Chapathi/ Roti. 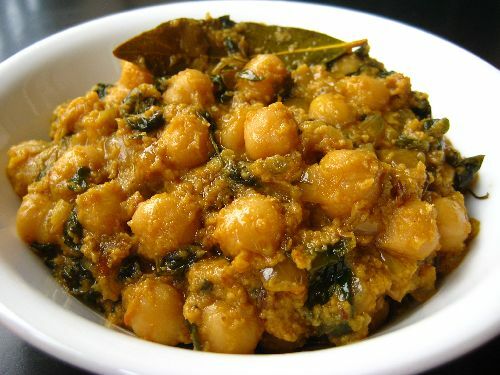 You can subtitue fenugreek with any spinach varities you like. Chop onion and split open red chilies. Peel potato skin and cut them into small pieces. Separate fenugreek leaves from the stem. Chop garlic into very small pieces. 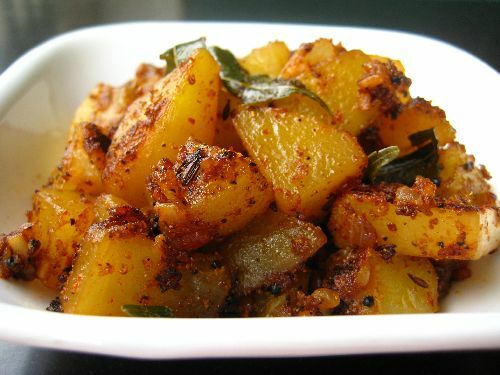 In a pan heat oil, add cumin seeds when splutters add the curry leaves, garlic red chili and onion, fry till translucent. 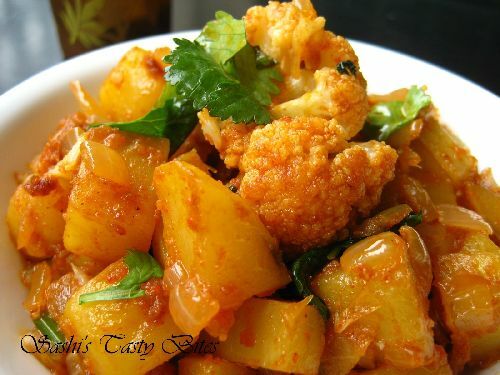 Add turmeric, red chili powder and coriander powder and fry for few seconds in low flame. 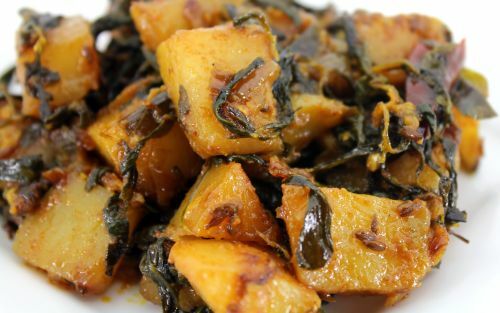 Add fenugreek leaves and fry for 5-10 min until the leaves shrink. Add potatoes and salt. Cook it in very low flame for 15 min. No need to add water but if you are afraid you’ll burn the bottom then sprinkle some water. This looks so delicious. Thanks for sharing. 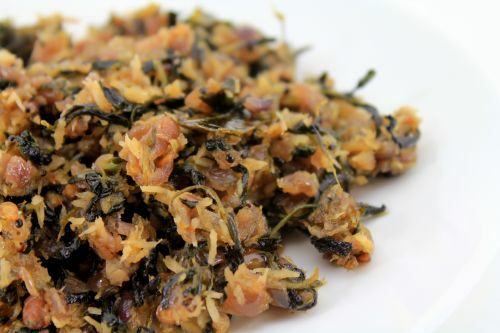 May i use dry fenugreek leaves in it? Darshita, yes but may not give the taste like fresh. At the end before,. getting the pan from stove surface, just add 1 tea spoon of Lemon juice,… (DONOT fry after adding lemon),. I make a version of this all the time. 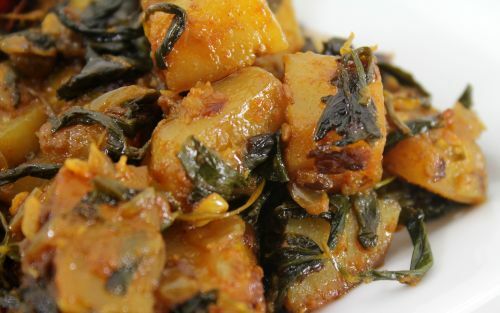 Love the combo of potato with methi. Something magical.